Ghost Upon the Floor: We Like Scary Movies: "Blair Witch"
In 1999, the low budget horror film "The Blair Witch Project" was released. It's legacy would alter the course of popular horror movies for the next nearly two decades. 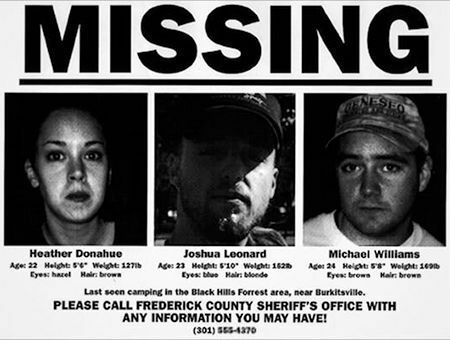 The "found footage" genre went mainstream with the shakily shot film, alleging to have been real, found in the woods. 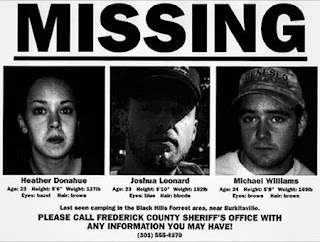 The three people in the movie shown making a documentary of their own on a legend of the Blair Witch, a woman put to death for being a witch in the woods of Maryland, were also real. This was in simpler times, when the Internet did not so easily dispel (or, spread) rumors. 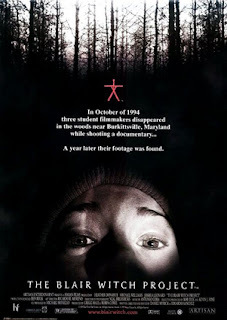 The documentary, of course, was fictional, as were the actors, the film and the legend of the Blair Witch. However, that did not stop the film from becoming, at the time, one of the most successful independent films of all time, and a national phenomenon. 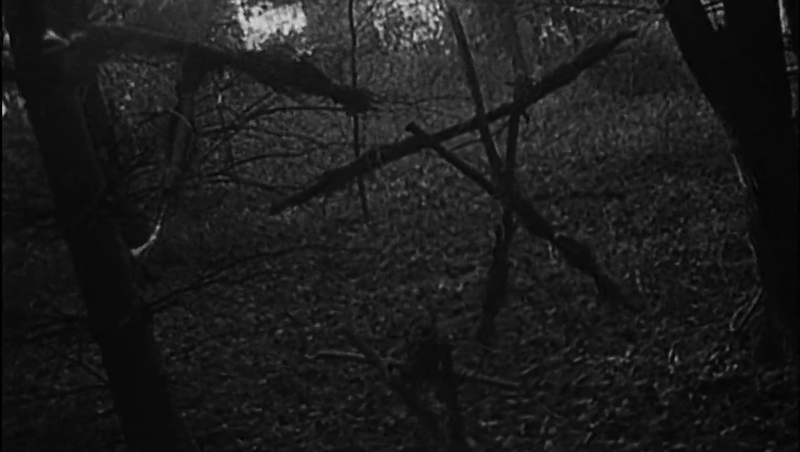 The spirit of the "Blair Witch" would live on in parodies, a hastily produced sequel, and, most importantly, the formation of a genre. 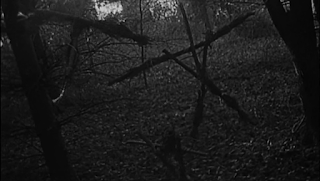 While lower budget horror films had experimented with the found footage concept-- where a film or portion of a film is presented as filmed from the characters' point(s) of view-- nothing so cemented the idea, or the effectiveness and bankable nature of the genre, in popular culture like the Blair Witch. While the hastily produced sequel, "Blair Witch: Book of Shadows," abandoned the concept, some of the most popular and successful horror films and franchises-- "Paranormal Activity" and "V/H/S"-- of the last 15 years took the found footage concept and ran with it to great fortune. And so, roughly 17 years later, we have "Blair Witch," a sequel made and initially promoted in secrecy under the title of "The Woods." Nowadays, it is far easier to accomplish the marketing and buzz the original Blair Witch film did in 1999 without the aid of the social media we have today. While the years may have passed, little seems to have changed with how audiences are reacting to "Blair Witch." Critically and in terms of general audience opinion, the flick seems to have divided viewers. Some see it as an updated twist on a winning formula; others see it as derivative and dull. Yet others see it falling somewhere in between. So what do we think of "Blair Witch"? In this reviewer's opinion, there is more here to enjoy than not. Surely, with the technology available today for recording trips into the deep woods in search of a supernatural entity, there were opportunities the film missed. While it did feature a drone camera, it seems that so many more scares could happen on today's recording equipment. Also, while the film takes a bit to get its footing-- telling the story of the original's Heather's brother wanting to go into the woods looking for her all these years later-- the narrative is less of a slow burn than Heather's movie. 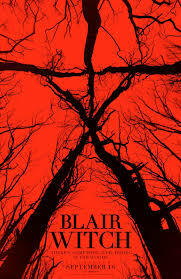 And while the original film can be looked at through eyes that don't see anything supernatural about it-- this new edition into the Blair Witch lore takes an early, and far more firm stance on whether or not a supernatural force, the Witch, is at play. For all the film's faults, it works so well by venturing in the footsteps of the original. There is a fear very primal about being lost in the woods, being hunted, and not knowing the nature of that which seeks you. There are some fantastic scares, creeps and questions in this film, and, this reviewer believes you can do far worse at the movies this theater than to see "Blair Witch." Scary, effective and shades of being both original and nostalgic, "Blair Witch," is one of the better scary movies to be released this year.